Mr Kim provides a broad spectrum of treatments from simple procedures, such as removal of minor skin lesions, to some of the most advanced cosmetic and plastic surgery procedures provided anywhere. His expertise includes a complete range of facial surgeries, (including oculoplastic eyelid procedures), breast surgeries, body contouring, and microsurgical reconstructions. He qualified in Medicine from Edinburgh University in 1997. He subsequently trained at Glasgow, Manchester, Cambridge and Oxford teaching hospitals. In the latter stages he completed the Higher Specialist Plastic surgery program on the Cambridge University rotation, obtaining the Fellowship of the Royal College of Surgeons of England FRCS(Plast) in 2012. Skin cancer, Melanoma and Surgical Oncology – Sydney Melanoma Unit, Australia. Microsurgical and Cosmetic fellowship – Seoul, South Korea. Given both his broad and specialist training, Mr Kim is happy to see and manage the full range of Plastic and Reconstructive problems. Mr Kim has a strong commitment to both research and education having been awarded Fellow status from the Higher Education Academy (FHEA) and Academy of Medical educators (FAcadMed) for his teaching and educational activities. He has been awarded Senior Lecturer status at The Institute of Cellular Medicine in Newcastle University to research skin cancer and melanoma. Over the years he has been awarded multiple grants and numerous national and international prizes as well as authoring over 30 peer-reviewed publications, many in prestigious journals, and specialist surgical book chapters. He has also successfully completed Master of Arts degree in Education and a Masters degree in Psychology to develop his clinical practice. Mr Kim has been awarded a Honorary Senior Clinical Lecturership from Newcastle University Medical School to undertake Skin cancer and Melanoma research with the Institute of Cellular Medicine. During his surgical training he successfully completed a Ph.D at one of the world’s premier cancer institute: The Ludwig Institute for Cancer Research, University College London. He was awarded the “Young Scientist Award for Translational Research” by the European Association of Cancer Research for his work on ‘in vivo’ cancer models. During his Ph.D, Mr. Kim also had the opportunity to explore his interest in Psychology successfully completing a Masters degree. He was later appointed as an Academic Clinical Lecturer in Plastic surgery at the Biomedical Research Centre and also academic faculty at Norwich Medical School / University of East Anglia. He has been principal investigator and primary supervisor on two PhD/MD degree research projects on wound healing and Melanoma invasion. Mr Kim has extensive experience in education and teaching at both undergraduate and postgraduate level. He has been awarded Fellowships from the Higher Education Academy (FHEA) and Academy of Medical educators (FAcadMed) for his teaching activities. 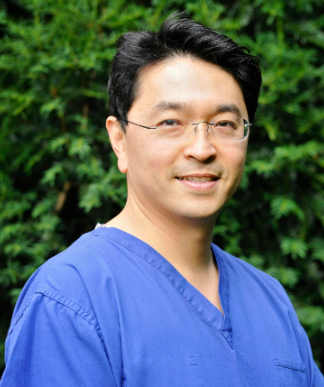 Mr Kim is both educational and clinical supervisor to junior trainee surgeons as well as being the regional teaching coordinator for the Northeast Higher Plastic surgery Teaching Programme. Born in Geneva, Switzerland, Dr. Jensen grew up in the United States and Spain. He completed undergraduate, pre-medical and post graduate education at New York University and Harvard University. He then came to the United Kingdom to complete his medical training at St. George’s. He was awarded the degree of Doctor of Medicine, and inducted into the Gold Humanism Honor Society. Prior to medical school, Dr. Jensen worked in investment banking for JP Morgan Securities, Swiss Banking Corp and Deutsche Bank Securities. He helped to build multiple financial services companies from the ground up, and advised on a myriad of investment banking transactions. Dr. Jensen has a keen special interest in the practice of personalized medicine and its integration with complementary and holistic wellness and proper physician led excercise and nutrition programs. This also includes cosmetic medicine and surgery and the use of adipose derived stem cells in both cosmetic and wound healing procedures. He currently works in both Surgery and Emergency Medicine in the United Kingdom. He was awarded the Association of Clinical Pathologists Junior Doctors Prize in 2011. Dr. Jensen is also a Police Surgeon, and is trained as a Forensic Medical Examiner. Dr Jensen is the Chief Medical Officer of Metamed, a personalized medicine thinktank funded by the Founders of PayPal, Peter Thiel, and Skype, Jaan Tallinn. Dr Jensen is a prolific public speaker and has spoken at multiple conferences nationally and internationally, including at the NatIonal Conference for the BMA. Advanced facial aesthetics for rejuvenation and wrinkle control, facial fillers and chemical peels. This includes the 8 point liquid facelift and the one stitch or silhouette soft lift. Practice of personalized medicine and its integration with complimentary and holistic wellness with physician led exercise and nutrition programme. Dr Jensen is fluent in Spanish, French and English. He is also conversant in Catalan and Portuguese.